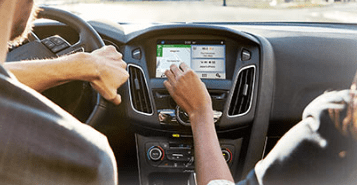 Ford has completely redesigned the interior of the Focus for the new model year, and the result is an updated and intuitive design that is better than ever. Ford has paid attention to every detail of the interior design on this new Ford Focus. 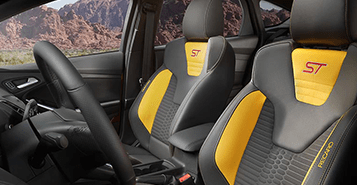 The high-performance ST model comes with available features such as Recaro Racing Seats, and the Focus Electric model has been designed with eco-friendly seats that are 100 percent recycled. These are just a few of the many great interior updates that make the new Ford Focus so desirable to drivers. When Ford unveiled their 1.0-liter, three-cylinder, EcoBoost engine, it was arguably the most advanced engine offering that they have ever put into production. This engine achieves a fuel economy rating of 43 highway miles per gallon, which is very comparable to many hybrid vehicles. This advanced powertrain package has won the prestigious International Engine of the Year Award an unprecedented three times. 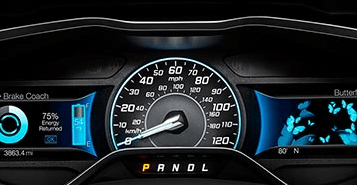 This fuel efficient and athletic 1.0-liter, EcoBoost powertrain is available on the new Ford Focus, which has drivers very excited. Odometer is 2228 miles below market average! 26/36 City/Highway MPG CARFAX One-Owner. Backup Camera, Bluetooth, Hands-free, CD Player, Cruise Control, Portable Audio Connection, Power Locks, Power Windows.